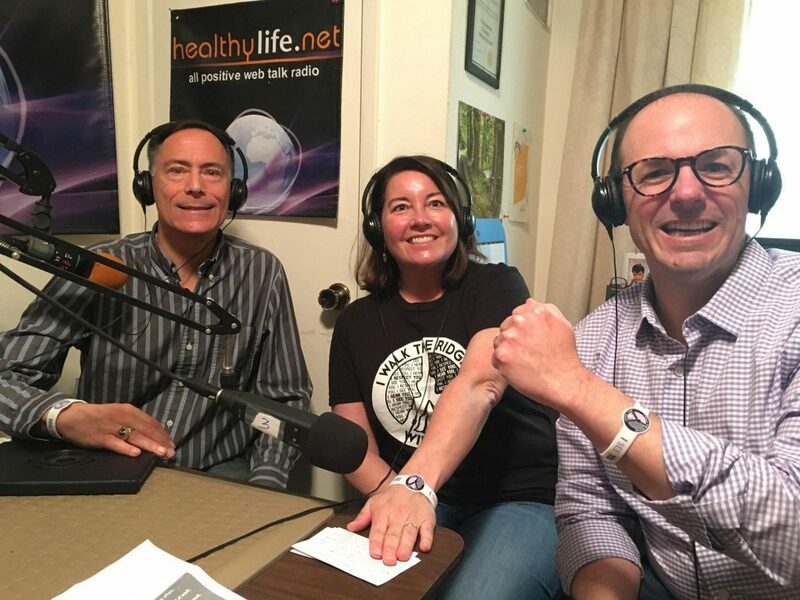 We had the privilege of being interviewed on the podcast Powell to the People – per health and all things positive. It is sent out (through its parent network) to 1.5 million listeners. CLICK THIS SHOW LINK or button below to listen. Yesterday, we have the privilege of being interviewed on Powell to the People – a podcast on health and all things positive – is carried out (through its parent network) to 1.5 million listeners. It’s hosted by former Manhattan Beach Mayor Wayne Powell – a terrific guy…and stellar civic leader. And it’s no mistake that he’s now a proud wearer of his own reminder band. Plus, I’m always pleased to introduce the CEO of the movement (and my wonderful wife) Nellie Ambrose – who designed what I believe is one of the more powerful and meaningful logos. Normally I’m doing the hosting on RED HOT HEALTHCARE…so being the interviewee was a nice twist. Here is the show link – or you can click on the image below. Reach out through contact page below if you have any problems with loading. WALK THE RIDGE is a growing social movement that promotes the practice of showing more civility and better listening to those we disagree with. We invite individuals and companies to support for free by joining + to wear & gift our powerful reminder bands and new partner bands for company co-branding. We’re now receiving and responding to requests for media, podcast interviews, speaking at organizations, as well as opportunities to help shape the future of civility in the home, at work, online, and in schools. Best to reach us through the website contact page.